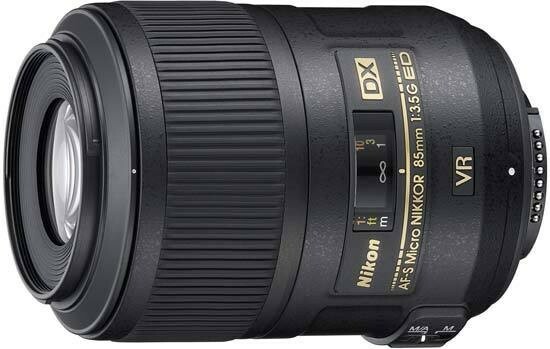 The Nikon AF-S DX Micro-Nikkor 85mm f3.5G ED VR is a very compact and lightweight macro lens for Nikon DX digital SLR cameras, which also comes at a competitive price. Because of its focal length and angle of view, it doubles as a portrait lens too – despite the slow-ish maximum aperture of f/3.5. It is also surprisingly well featured, with a “silent-wave” auto-focus motor and Vibration Reduction (VR) on board. Note that these features are best utilised when the lens is used as a “regular” telephoto lens – once you venture into macro territory, you will want to use a tripod and manual focusing most of the time. Nikon explicitly warns that the higher the reproduction ratio, the lower the effectiveness of the VR II system, and we have found this to be true. The majority of our sample shots were taken on a tripod, with the self-timer and Exposure Delay Mode activated, and VR turned off. Optically, the lens is good but its sharpness and contrast are not on the same level as most other macro lenses. It's not bad but it simply lacks the “biting” sharpness Nikon's Micro Nikkor range has become famous for. In some cases we also encountered a bit of chromatic aberration too. On a more positive note, the lens is very well controlled for geometric distortion, particularly at its close-focus point, as you would expect from a macro lens. Bokeh is also outstanding, which is again an important consideration given how little DOF you typically have in close-up photography, even with the lens stopped down considerably. The lens can also be used to digitise slides, but given that the Nikon ES-1 slide copying attachment is not listed among the compatible accessories, you will need to use a light table, a tripod with a reversible centre column and a camera spirit level. The quality you can expect from such a set-up is good, but is not quite on a par with a good (and expensive) dedicated film scanner. For a price of £419/$529, the Nikon AF-S DX Micro Nikkor 85mm f3.5G ED VR offers an affordable entry to macro photography for any DX user, and it also does double-duty as a “normal” telephoto lens, complete with a host of features you don't necessarily find on other macro offerings. However, if you ever plan to go full frame (or try your hand at film photography), you might want to shop around for FX alternatives, even if they tend to cost a good deal more if bought new.